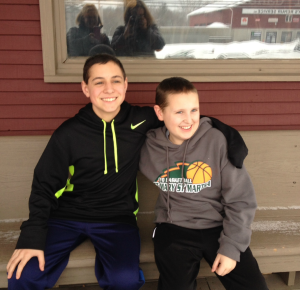 The Jimmy Fund Clinic is undergoing a major transformation. 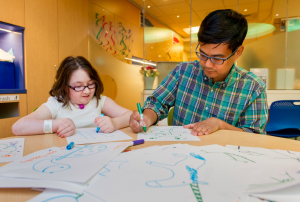 Clinic space will increase 40 percent to provide state-of-the-art pediatric cancer care in a setting that empowers our youngest patients to still be kids. As a part of this renovation, Jimmy’s Junction is being built to nurture an aura of friendliness and comfort in the clinic and create a fun, positive atmosphere for our youngest patients. For more than 10 years, artist Bren Bataclan has been inspiring smiles. With Smile Boston – and in life – Bren strives to bring art to people who may not typically visit art galleries, give paintings to folks who may not be able to afford original artwork, and see more smiles around the globe. 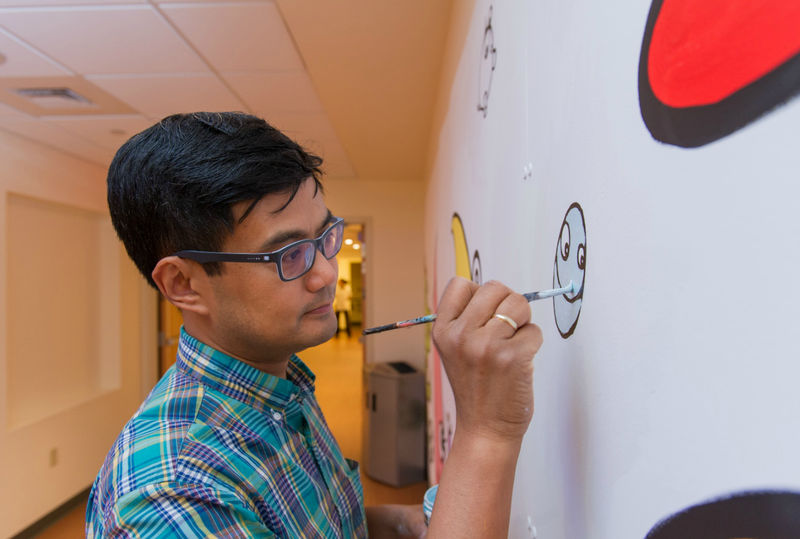 With these values, it’s no wonder Small Design Firm tapped Bren as the collaborating artist when they started working with Dana-Farber on Jimmy’s Junction – a new wall display featuring animated cartoon characters in Dana-Farber’s Jimmy Fund Clinic. 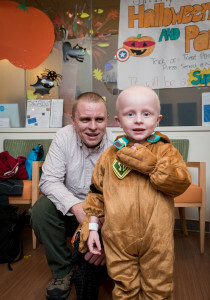 Bren recently took some time out of his busy schedule to tell us about the creation of these dynamic cartoon characters and how they’re bringing a new, fun, and happy world to life for our youngest patients and their families at the Jimmy Fund Clinic. Jimmy’s Junction was created by Small Design Firm, in collaboration with artist/writer Bren Bataclan, and animator Chris Stacy. 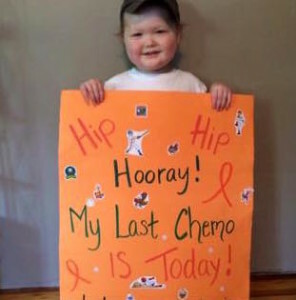 This special naming opportunity features 51 Jimmy Fund Friends- each with its own unique name, personality, and story, available on a first-come first-serve basis now through December 31, 2014.